So, Friday is my last day of work at my current job. I have been there now for almost 7 years. It was my first full time job out of college. As much as they got on my nerves, criticized my dress and downright aggravated me, they are the closest I have ever had to a family. I was told by one supervisor she was so strict with me because she knew I was capable of the best. No one has ever said that to me, ever. Growing up I was told I was stupid by my dad. He would refer to me as a non-entity and a bad habit that was worthy of being dropped. He vanished almost completely when I was 14. My mom did as well around the same time. I lived with her, yet she was gone most of the day and didn’t provide much emotional support. I only go home once a year for 5 days, it is all I can take. I’m going because the company I got a new job with is larger, more secure and pays much, much better. Last month I couldn’t wait to get out, now reality is setting in and it hurts. 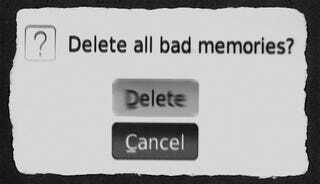 All the bad memories are fading and I’m just thinking of the positive. I keep crying once every other hour, but I am remaining positive and believe I made the right choice.